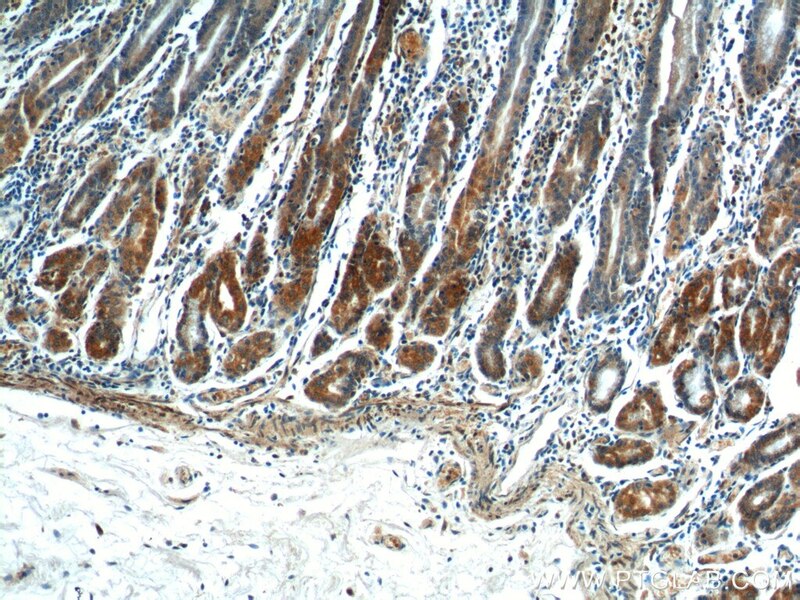 Immunohistochemical analysis of paraffin-embedded human stomach tissue slide using 13393-1-AP( COX-1/Cyclooxygenase-1 antibody at dilution of 1:200 (under 10x lens). 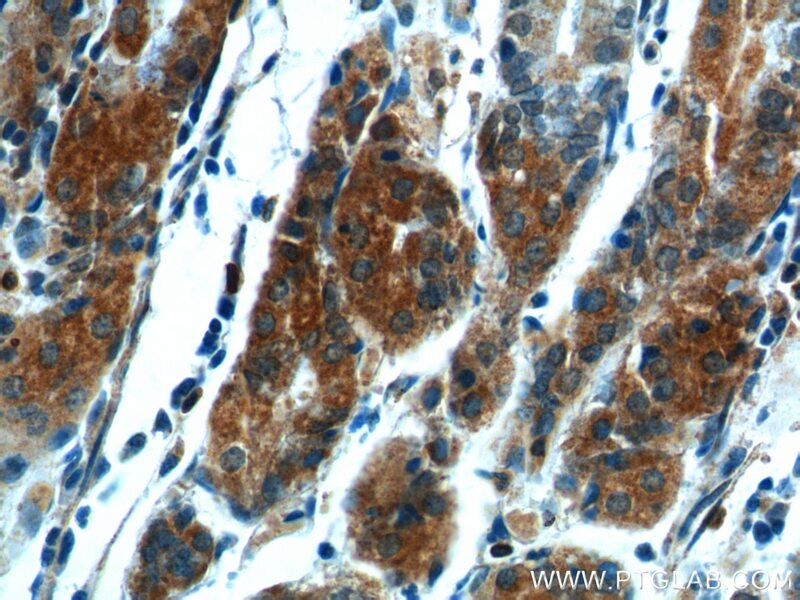 Immunohistochemical analysis of paraffin-embedded human stomach tissue slide using 13393-1-AP( COX-1/Cyclooxygenase-1 antibody at dilution of 1:200 (under 40x lens). PTGS1(Prostaglandin G/H synthase 1) belongs to the prostaglandin G/H synthase family and catalyzes the conversion of arachidonic acid to prostaglandin H2, which is subsequently metabolized to various biologically active prostaglandins. It is also named as COX1(Cyclooxygenase-1). There is no PTGS1 expression in fetal samples (prostate, seminal vesicles, or ejaculatory ducts), and only minimal expression in adult tissues (PMID: 10999846). PTGS1 has some isoforms with MW of 56-72 kD and PTGS1 can form homodimer. Localized delivery of miRNAs targets cyclooxygenases and reduces flexor tendon adhesions. Ginsenoside metabolite compound K exerts anti-inflammatory and analgesic effects via downregulating COX2.